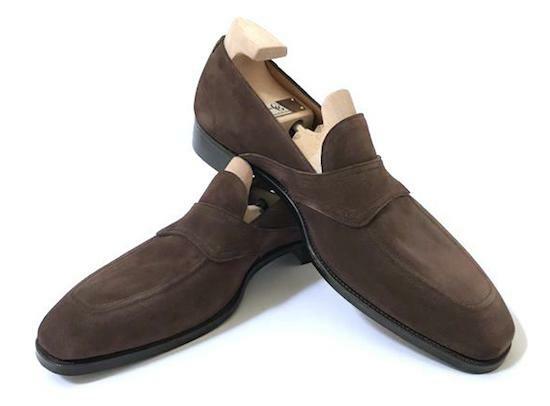 Gaziano & Girling is an English shoe brand founded by Tony Gaziano and Dean Girling in 2006. 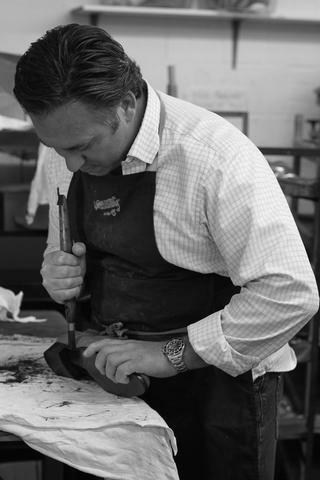 It was very interesting for me to interview Tony Gaziano, who has a very broad experience in the shoe industry and designs beautiful and unique shoes. This interview is presented below. Dear Tony, where does your inspiration come from when you design your collections? Do you study models from some Italian shoemakers, for example – or probably you try to invent something new? It’s a mixture of two ways, either 1) I take a classic model and enhance the proportions of what other people have done, I think we have an eye that can take it further than our competitors, paying attention to every curve and line of the shoe. Where as others simply copy we like to try and improve. 2) I do look at what other people are doing and can be influenced but I like our designs to be unique so I tend to try and find the gaps in-between what other people do and come up with hybrid type styles, mixing classic & contemporary, English and continental styles. Other times I do imagine new styles in my head and experiment. Balancing between contemporary and classic designs is a quite risky task, isn’t it? Is it possible to formulate a definition of a well-balanced contemporary shoe? Yes, I agree, if you don’t get it right the results can just look a little strange, and almost like a forced design. I think to get the best result 3 area’s need to be paid attention to – shape of last, design of lines and quality, if you leave any one of these out then it does not work well. You’re reinventing classic shoes in terms of design, but what about production? If I understand correctly, Gaziano & Girling shoes are made using traditional craftsmanship methods and materials, but maybe there is some room for innovations in shoemaking?.. Yes, that’s correct, we try to be sensible, at the end of the day it’s about the product, our aim is to try and bring the best possible shoe to the customer, if that means in some areas using a more modern approach then we will explore it thoroughly. It is possible that in the future we may look at some CAD systems for the design side of the business, or even scanners for measuring customers feet. 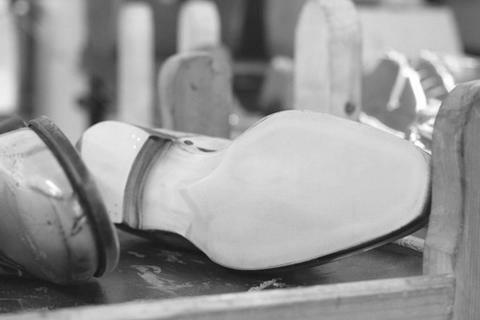 In regards to the actual shoemaking we do use mostly traditional methods. As far as I know, you buy leather from French and Swiss companies and then have it finished in Italy or in your own factory. 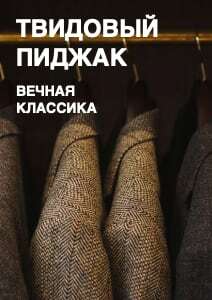 Does it mean there are no ‘full cycle’ tanneries, which meet your quality standards – or maybe you just try to get unique finishing? It’s also quite interesting to hear about Swiss leather – is it better than German or American one, for example? My understanding is that most of the calf leather used is a bi-product of the veal industry, and only abattoir’s local to this industry provide the skins, this mainly is from France, Switzerland and Poland. The wet blue (raw) skins are the purchased by tanneries from Italy, France, Germany amongst a few other European countries and finished. 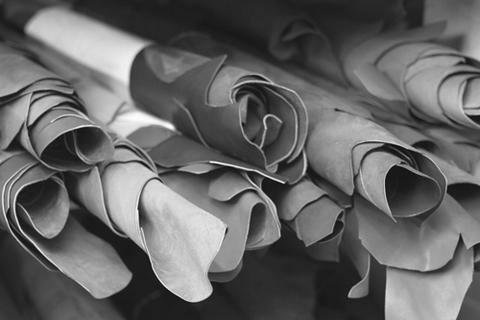 For G&G it really matters which tanneries are supplying the best quality selection and the best finishing at the time we need it, and we can change tanneries a couple times a year depending on which selection they are offering. Its not quite right to say is a german tannery better than an American one, they are just different, American tanneries tend to tan cow hide (older animal) rather than calf. 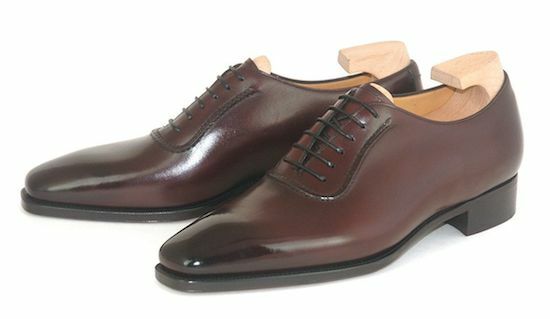 I’ve heard that you use J&FJ Baker leather soles. 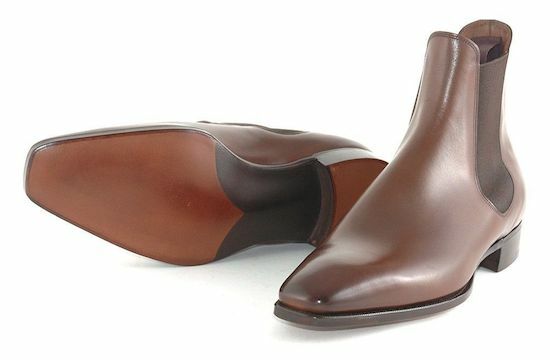 Do you think they are the best leather soles in the world? What is the practical difference between true oak bark leather soles and soles made using ‘oak bark techniques’? 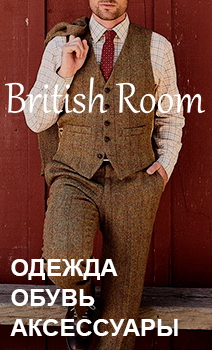 Yes, we do. Actually I think G&G is the only company to use these soles for our manufactured shoes, they are mostly used for the bespoke trade. We use them because they have all the correct qualities for hand craftsmanship, and we have a few hand processes on the factory shoes. I think that Baker’s soles take the longest to tan, and go through the most difficult process. 12 months it takes per hide. 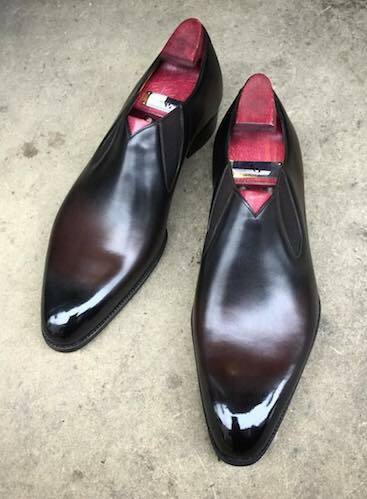 There is no doubt that if crafted correctly we cannot get a more beautiful finished sole from any other tannery. 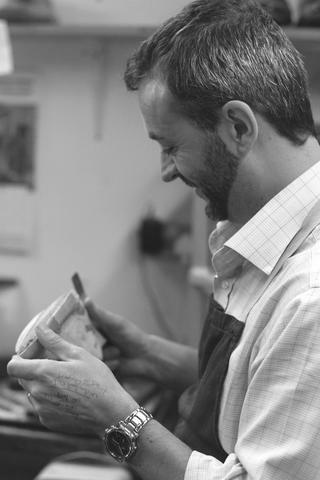 We use them for all our bespoke shoes, so yes I pretty mush think they are the best. There can be many differences between the 2 soles, the soles using OBT tend to be harder more dense, less comfortable on the floor and less traction on the pavement. How would you describe the difference between velour leather, suede and chamois? If we are talking about suede, does the suede made of split leather have significant advantages over so-called full-grain suede? 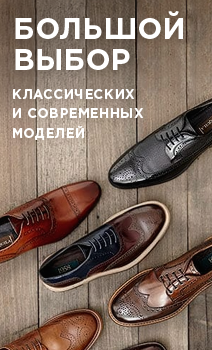 I think these 3 of these are for different kinds of footwear, we would not use velour leather, in our experience is not very suitable for shoes other than maybe house shoes. Same with Chamois, it is simply too soft and unstructured for our type of footwear. We have used split leathers, but prefer full grain calf suede’s as they are stronger, have a finer nap and more luxurious to the feel. What shoes (I mean style and color) do you think are essential, so they should be in a wardrobe of every man? 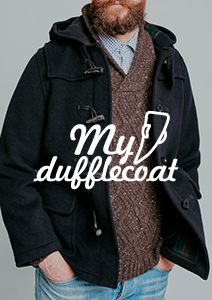 Black calf oxford – formal occasions. Whole cut (single piece) oxford in dark brown calf – everyday business. 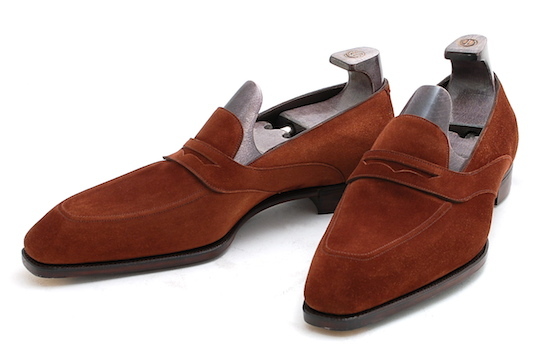 Mid brown suede penny loafer- everyday business in the summer. 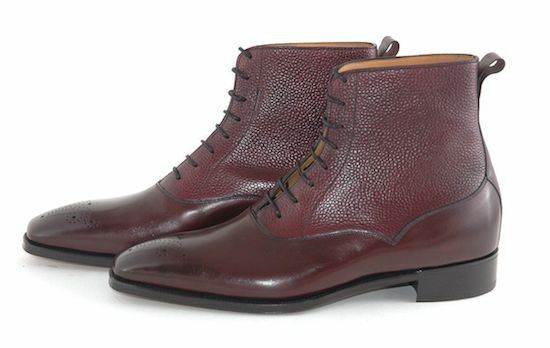 Semi brogue cap oxford in dark brown or burgundy calf — everyday business. What styles and colors of shoes do you prefer? What are your favorite shoes? That’s impossible to answer 🙂 I generally wear darker leathers in calf and suede, but style wise I love all of them and my taste change quite regularly, it’s the curse of having a design mind. I am very partial to dark blue and black at the moment, and little detail on the shoe, probably the style called Demsey is my go to shoe at the moment, which is a side gusset wholecut, and smart round toe, no other detail on it.